Most of us use our eyes from the moment that we wake up until the moment that we fall asleep at night. During that time, our eyes are perpetually in motion, taking in the world around us and letting us use this information to function day to day. Unfortunately, many of us also take this highly important sense for granted, only ever visiting an eye doctor when our vision becomes so compromised, or our symptoms so severe, that we are unable to ignore the issue any longer. For this reason, attending regular comprehensive eye exams should be just as much of a priority as visiting your doctor for wellness checks, or your dentist for regular oral health assessments. Why are comprehensive eye exams so important? Attending regular comprehensive eye exams are more than just a way of checking your vision to determine whether you need glasses or contact lenses. Instead, they can be used to monitor the health and condition of your eyes, and in some circumstances, can be used to diagnose serious conditions including glaucoma and macular degeneration. These can lead to complete blindness if not spotted and treated early. 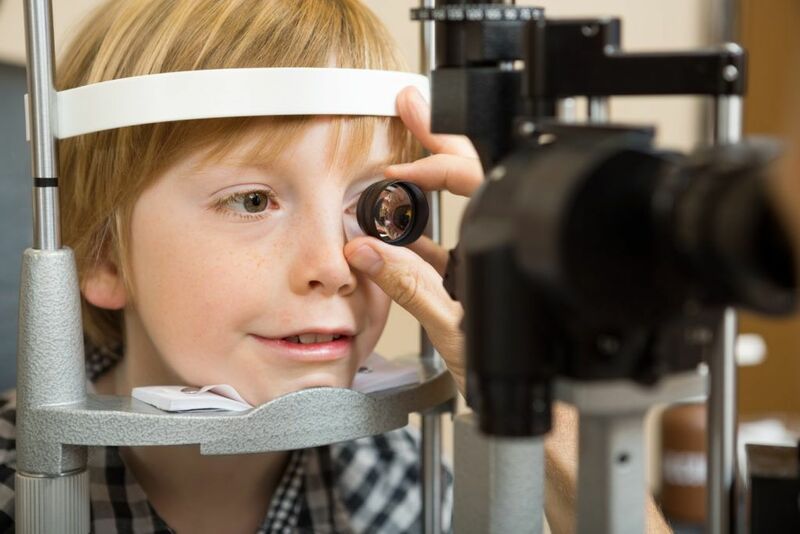 It is just as important for children to attend regular eye exams too. This is because they may not realize that what they are seeing isn’t quite right since they don’t necessarily have the understanding or maturity to comprehend the difference between clear and blurred vision. Children that attend regular eye exams have been shown to do better at school thanks to clear, uncompromised vision. Finally, regular eye exams could pick up your need for glasses or contacts that could relieve the strain associated with prolonged screen – something which is an increasing problem for people of all aged. Dry eyes, headaches, visual fatigue and more have all been shown to be side effects of excessive amounts of time looking at screens. In some cases, this can even lead to the development of myopia, aka near-sightedness. Although exactly what will happen during a comprehensive eye exam may vary ever so slightly between opticians. However, the key elements of the process should remain consistent across all practices and should include the following. You will be asked whether you currently wear glasses (if you have not visited the practice before), about your general medical history and if you are taking any medications. You may be asked about close relatives and if there are any ocular problems that run in your family. You will also be asked about any vision problems that you are currently having and how they are affecting you. The health of your eyes is just as important as the quality of your vision. Your eye doctor has the experience to be able to thoroughly assess all parts of your eye, including the optic nerve, to ensure that your eyes are as healthy as they can be. Your eye care team will be looking for signs of problems such as glaucoma and macular degeneration. Your eye doctor will assess your depth perception, eye muscle movements, color vision, peripheral/side vision and the way in which your pupils respond to the light. Visual field testing helps to determine how much side/peripheral vision you currently have. A visual acuity test is used to assess how clearly each eye can see, and this most often takes the form of a selection of reading charts. The results of these tests are written as a fraction, with the top number representing the standard distance at which the test is performed, and the bottom number the smallest letter size that you were able to accurately depict. Normal distance vision is 20/20. These are used to determine the power of the lenses that you need to compensate for any refractive eye error that you are suffering from. Refractive eye errors include nearsightedness (the ability to clearly see objects up close, but not those at a distance), farsightedness (the ability to see things at distance, but not those in close proximity) and astigmatism. Astigmatism is where the shape of the cornea more closely resembles a football rather than a soccer ball, causing light to be refracted off of the lens incorrectly. ​​​​​​​If you would like to schedule a comprehensive eye exam with our dedicated, experienced eye care team, please don’t hesitate to make an appointment at our offices in St. John’s, FL.